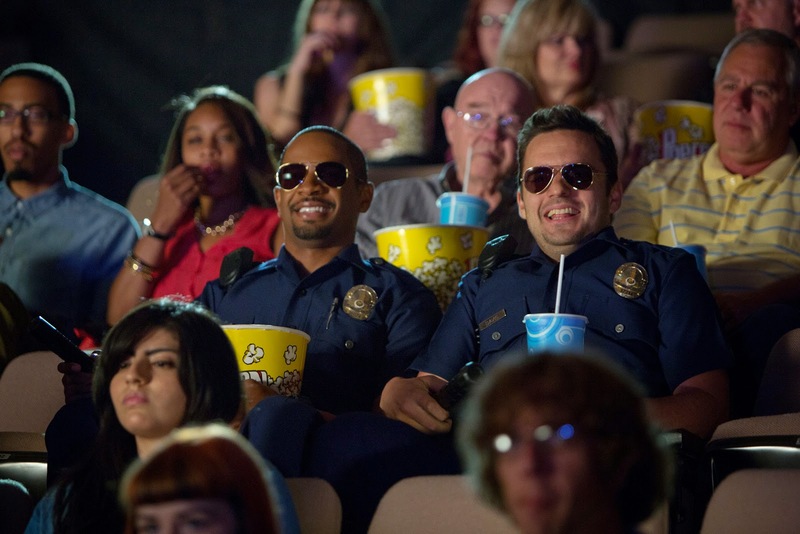 “Let’s Be Cops” trails down-on-luck best buddies Justin Miller (Damon Wayans, Jr.) and Ryan O’Malley (Jake Johnson) have been languishing since their school days ended. Justin toils at a videogame company, where his bosses prefer zombie antics instead of Justin’s recent game proposal that features real-life cops. Ryan, still reveling in his glory days as a college quarterback, bounces from job to job – his appearance in a herpes drug commercial was a career highlight – without success. Until a wrong turn at a masquerade party where they dressed as cops turn out to be their best night ever. The actors spent a lot of time under the supervision of ace stunt coordinator Steven Ritzi (“Prisoners,” “12 Years a Slave”) to ensure that the film’s pratfalls and gunplay were as realistic – and/or funny – as possible. One of the film’s memorable action scenes sees Johnson and Wayans responding to a police call at a hardware store in the middle of the night. There, the faux cops Justin and Ryan have a run-in with a 350-pound Samoan burglar running amok – wearing nothing but a fierce grin. But with all the crazy stunts and action, the most important component of the movie is the close relationship between Justin and Ryan, lifetime buddies who may bicker non-stop, but always have each other’s backs. “Let’s Be Cops” opens November 5 in theatres nationwide from 20th Century Fox to be distributed by Warner Bros.